Home / Reviews / Still The Purest – Ivory Soap for Generations of Clean! Still The Purest – Ivory Soap for Generations of Clean! There are so many new things out in markets now. Have you noticed how often we are hit with new and improved? I always wonder what was wrong with the old formulas? I like things tried and true. When things work why change them. Is there nothing to be said for tradition and old ways? When I was a little girl I remember my mom always using pure Ivory soap to wash her face, I remember the scent it left on her skin and how lovely it smelled to me. She was never one for make up but, many times I heard her tell her friends that her skin looked so good because she simply washed it with Ivory soap every day. Beautiful complexions were not so difficult to obtains. Our whole family used it as bath soap and to wash our hands and faces. It worked and it was affordable there was no reason to change. When I moved out on my own of course I wanted everything different than my parents. I was wrong just like so many other young people out there. I quickly went back to Ivory soap. I remember back when I was getting ready to have my first baby I had to have Ivory soap to bathe him in. The only thing that made sense to me was to use a pure bar of Ivory soap on my brand new baby. There were plenty of new and improved and different special baby soaps but, for my babies we used pure Ivory soap. As the boys got older we used a lot of Ivory soap, it seemed keeping those two boys clean was in itself a full-time job. Using as often as I did I was glad it was pure mild and steeped in tradition of being safe for the family. Ivory bar soap is 99.44% pure and free of dyes and heavy perfumes and that makes it the best and safest product for our whole family. Wanting a pure soap means not having to worry about what harmful ingredients were doing to our skin and bodies. Today I am a grandmother and have 3 grandkids with one on the way. I can trust that when they are here we can continue to use our Ivory soap or even their body wash on the kids. Whether we are bathing them, washing hands or even their little faces. It’s so fun to now use the same soap that my mom used not only with my kids but with my grandkids too. It doesn’t matter if they are playing in the dirt or we decide to finger paint and do crafts, Ivory Soap will handle all of those messes. Fresh Towel, Pajamas and Ivory Soap Perfect Bath routine! My grandmother taught me many years ago that if you try to use the purest of products you never have to worry about anything hurting you or your family. My family is the most important thing in my life and knowing that Ivory soap is pure enough for them makes me a happy mom and grandmother. 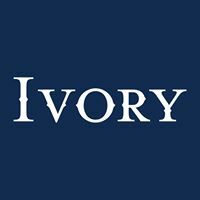 Check out the social media channels and website to get Ivory into your house and your families routines!